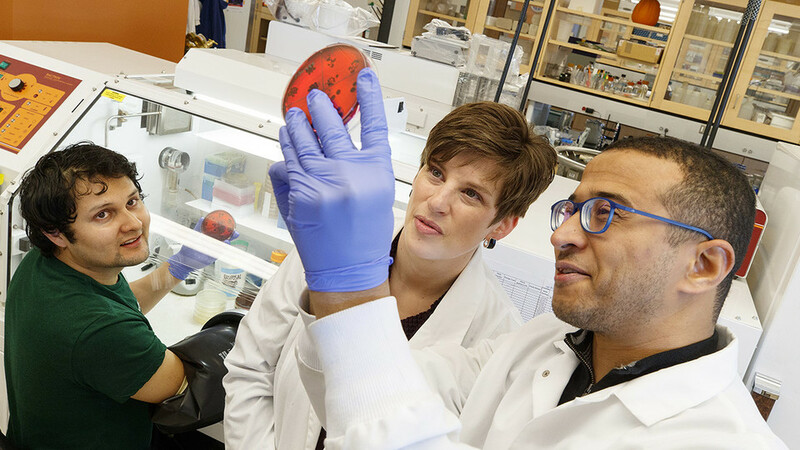 University of Nebraska-Lincoln researchers have developed a probiotic — sometimes referred to as beneficial bacteria — inside the competitive environment of the human gut, where it successfully competed against trillions of microorganisms. Read Moreof "Husker-developed bacterium outperforms commercial probiotic"
Lincoln, Neb. 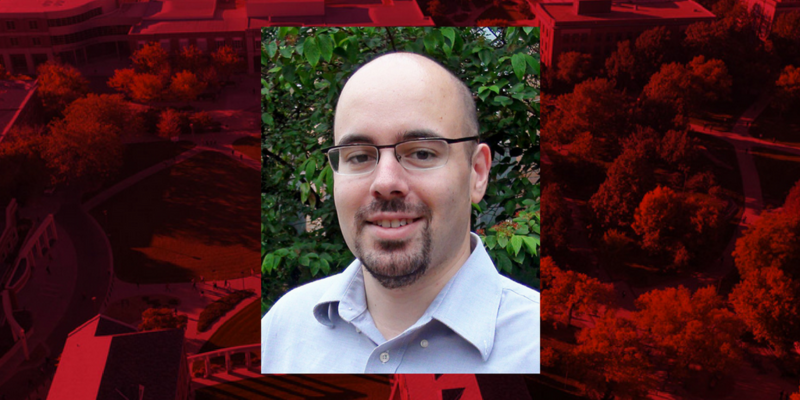 — James Schnable, an assistant professor in the Department of Agronomy and Horticulture and Center for Plant Science Innovation at the University of Nebraska–Lincoln, received the Marcus Rhoades Early Career Award in maize genetics at the 60th annual Maize Genetics Conference held in France on March 24. Read Moreof "Schnable receives early career award in maize genetics"
Read Moreof "Joe Palca, Science Correspondent for NPR, visits NFHC's gut group seminar series"
A colon-dwelling bacterium may trigger inflammatory bowel diseases by raising the immune system’s alarm against its peaceful bacterial community, reports a recent study led by the University of Nebraska-Lincoln. 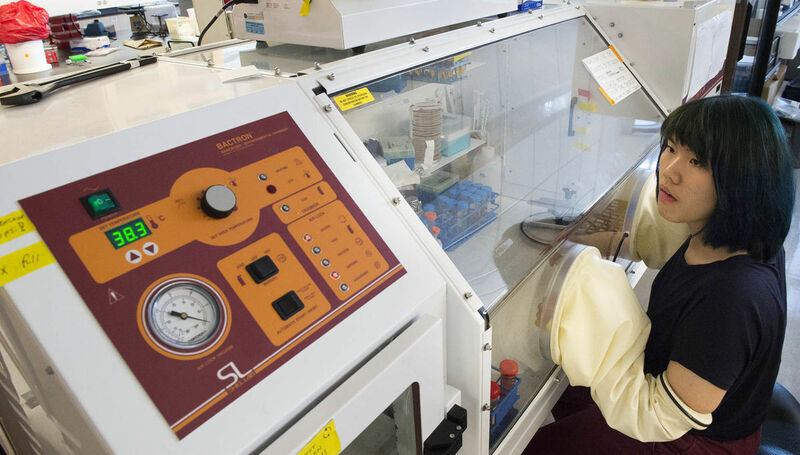 In the absence of its bacterial neighbors, the offending Helicobacter bilis bacterium caused only mild gut inflammation in mice, the research team reported. 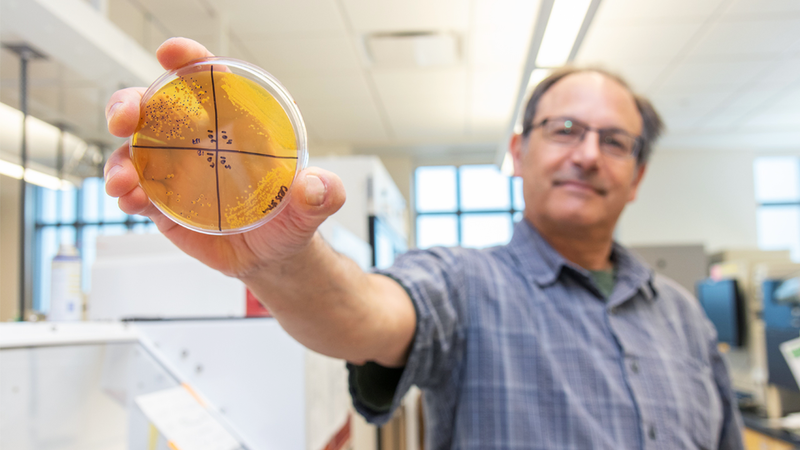 But adding a community of just eight other bacterial species into the mix — a typical human gut contains several hundred — was enough to stir up a more severe inflammatory response. Read Moreof "Pain in the gut: Microbe betrays neighbors to trigger IBD"
Read Moreof "New report highlights food and ag science breakthroughs at Nebraska and 10 other universities"
Jeff Raikes was unapologetic as he shot down pitch after pitch from University of Nebraska scientists aiming to connect research being done on microorganisms in the digestive tract to the broader world. 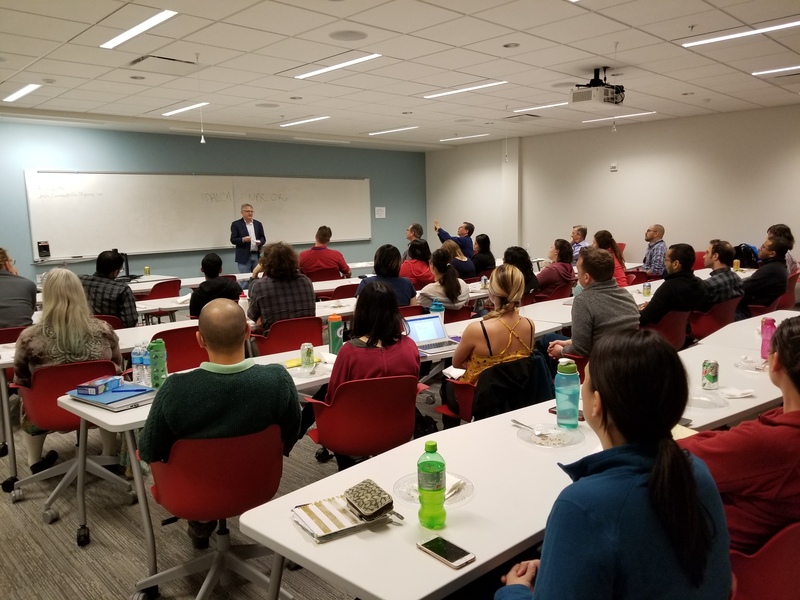 What the Ashland native and former Microsoft executive sought was an idea he calls “Agriculture 2.0,” connecting Nebraska’s largest economic engine with improving health outcomes in billions of people around the world. Read Moreof "Agriculture 2.0? 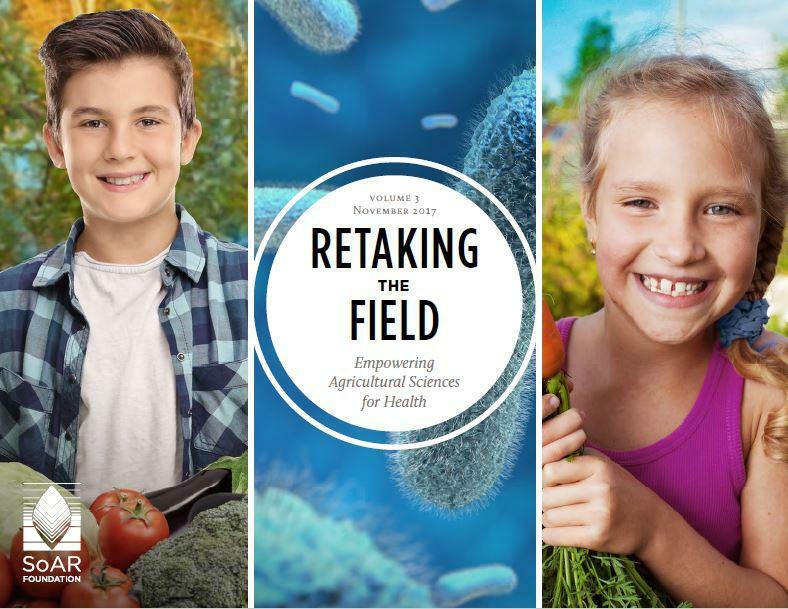 New center aims to connect crop production with health outcomes"
Read Moreof "NFHC member selected for Young Investigator Grant for Probiotics Research (YIGPRO) "
Fermented foods "have phenomenal benefits in your overall Sauerkrautwellness," gushes Dr. Mercola. 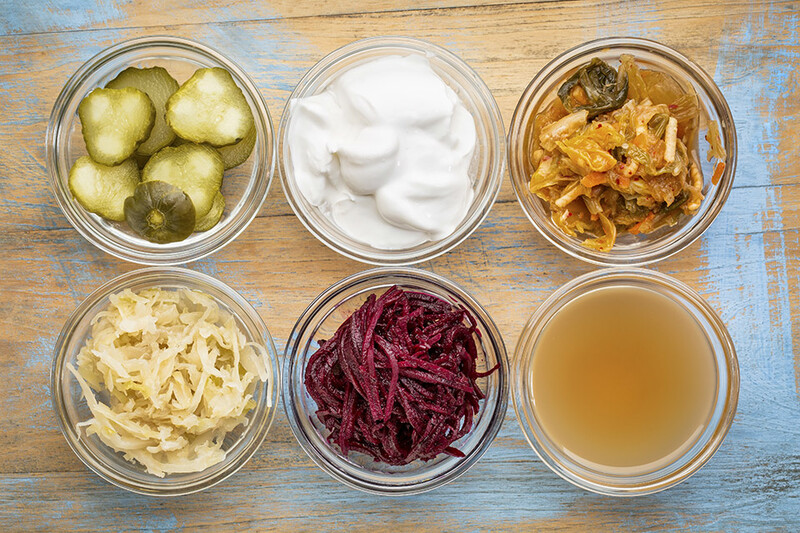 "7 must-eat fermented foods for a healthy gut," promises EatingWell online. Humans have enjoyed fermented foods—from wine, beer, and vinegar to pickles, olives, yogurt, and cheese—for millennia. Before refrigeration, people used fermenting to preserve foods. But can fermented foods make you healthier? Here's a look at the evidence. Read Moreof "The lowdown on fermented foods"
The recently formed Nebraska Food for Health Center at the University of Nebraska will collaborate with a pharmaceutical company to study how the trillions of microorganisms colonizing the human gut could offset the onset of metabolism-related disease. Read Moreof "Food for Health Center to study promising pharmaceutical"
LOS ANGELES, CA, Jan 23, 2017 (Marketwired via COMTEX) -- LOS ANGELES, CA--(Marketwired - Jan 23, 2017) - Ritter Pharmaceuticals, Inc. ("Ritter Pharmaceuticals" or the "Company"), a pharmaceutical company developing novel therapeutic products that modulate the human gut microbiome to treat gastrointestinal diseases, today announced that it is collaborating with the newly-established Food for Health Center at the University of Nebraska ("NU") to study the role of the microbiome and RP-G28 in metabolic syndrome. 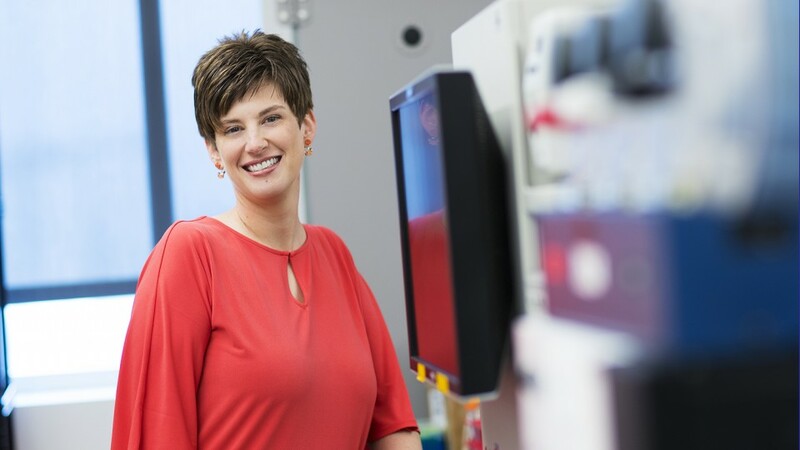 Read Moreof "Ritter Pharmaceuticals Announces Collaboration with University of Nebraska"